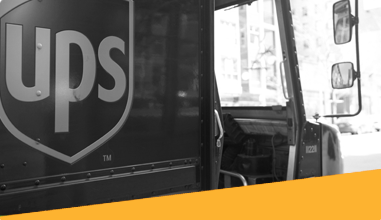 Flexibility is the latest trend in outdoor exhibitions. 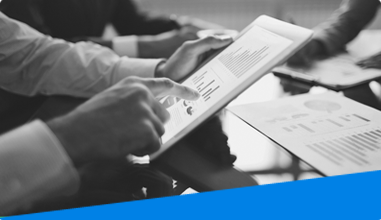 It ensures greater interaction between marketers and customers, thus ensuring that their choice of products and services is well-conceived. Putting up flag banners is a technique used to attract larger audience towards the exhibition. 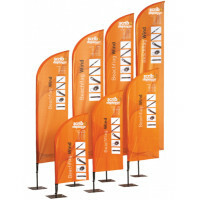 Such flag banners can easily be dismantled after a trade show or exhibition, to be stored away till the next show. 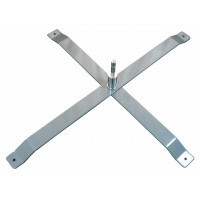 These are also good for branding when changing locations constantly. 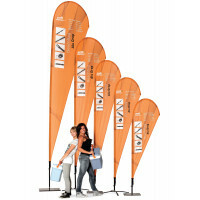 Portable and light weight outdoor flag banners are mostly used by the trade marketers to make emphatic sales pitches in exhibitions and shows. A sea of waving flags, carrying your brand is always an impressive sight for all the attending parties. These flags are also placed at a certain height which gives the audience an advantage of clearly seeing the message when eye or ground level messages can be missed. 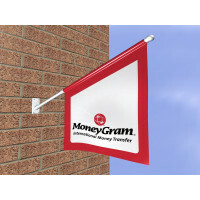 With no installation required, a flag banner serves the purpose of brand promotion and is an easy way of getting this done. 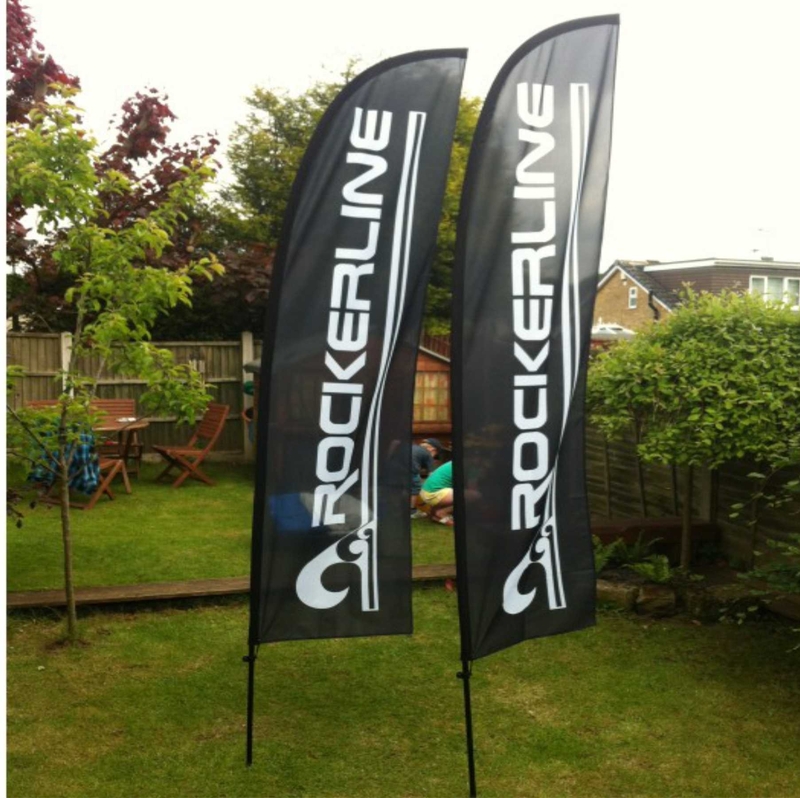 We have a wide range of flag banners, all in different shapes and sizes, from which you can choose according to your needs. The variety of sizes and colors also add up to the décor of your exhibition, which again helps you to stand out from your competition. From feather flying banners, teardrop banners, standard flag kit, rectangular flying banners to beach flag wind and much more, we here make sure that all your needs are worries are answered by these flag banners and your exhibition turns out to be amazing. 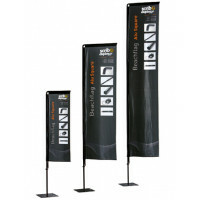 Being versatile, safe and tamper-proof, these flag banners have a long lasting, yet an immediate impact on the audience. 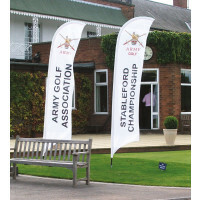 Coupled with these advantages, our flag banners are also weather proof and they secure positioning for you.